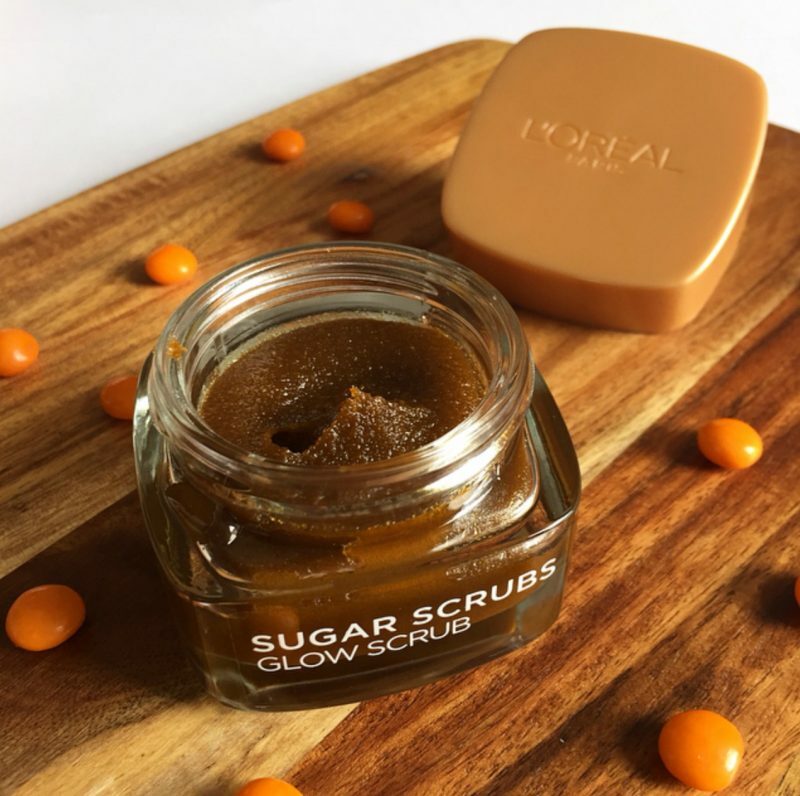 This L’Oreal Sugar Scrub review article includes reviews of all three new L’Oreal Sugar Scrubs to help you determine which one is the best sugar scrub for your current skin needs. Do you have blackhead troubles? If you answered ‘Yes’ to any of the above questions one of the new L’Oreal Paris Sugar Scrubs may be exactly what your skin needs. Every day dirt, makeup and oil builds up on our face which can lead to dull or problematic skin. Often cleansing alone is not enough. This is where using a facial sugar scrub comes in to play. 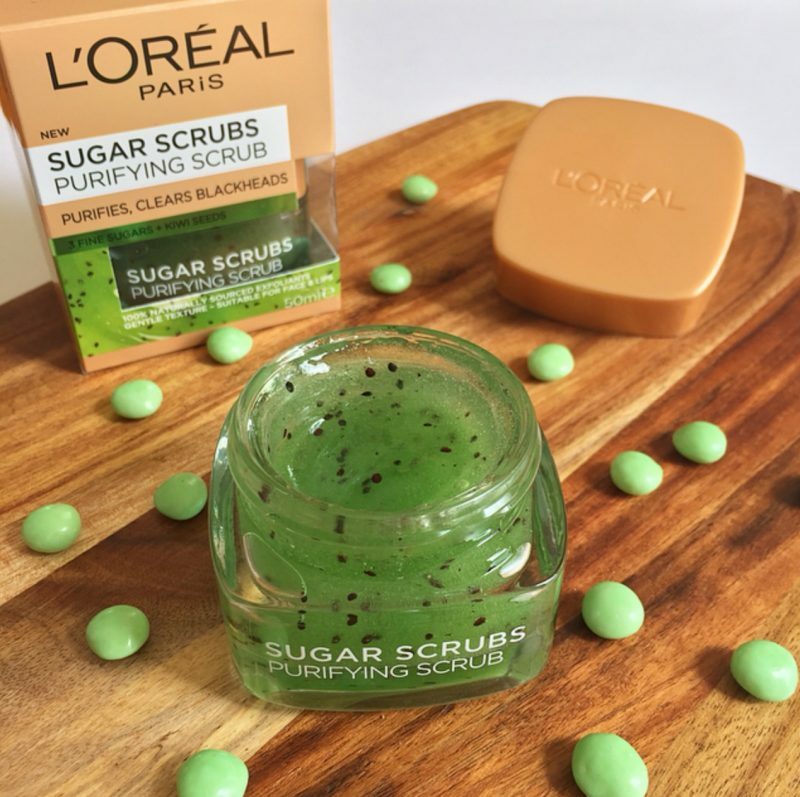 You’ve probably heard of multi-masking, now you can multi-scrub as well thanks to L’Oreal Paris’ new collection of three Loreal Sugar Scrubs. Each of these Sugar Scrubs contain 100% natural exfoliants for an instant skin transformation. They combine three naturally sourced sugars (brown, blonde and white) to provide deep yet gentle exfoliation. These Sugar Scrubs have a light gel-like consistency that gradually melts away to avoid harsh scrubbing. They are extremely easy to use merely by scooping some scrub out of the jar with your fingers, applying it to dry skin, massaging it around in circular motions and then rinsing it off. They result in lovely bright, smooth, soft skin! Exactly what I’m looking for from products such as these! I tend to use them at the start of my shower, once every two or three days. These Sugar Scrubs come in a stylish square glass jar with a screw cap lid. Although I love the luxe feel and classiness of the glass jar, as opposed to a plastic one, I am a bit concerned that I will drop one in the shower, but all good so far, I haven’t dropped them once! 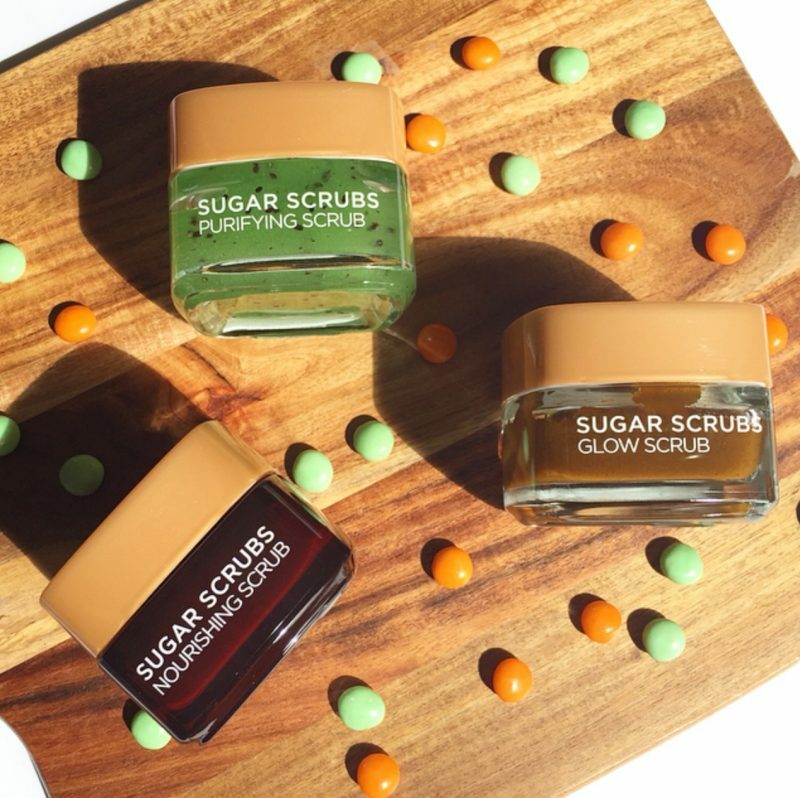 There are three variants of these Sugar Scrubs each targeting specific skin concerns: a Purifying Scrub, a Glow Scrub and a Nourishing Scrub. This sugar scrub is designed to purify your skin and clear blackheads. In my opinion this is the most divinely scented of the three scrubs with a delicious kiwi fruit scent. I absolutely love this fruity scent! I concentrate my use of this Purifying Scrub on my nose which is where my blackheads are located and then use either the Glow Scrub or Nourishing Scrub on the rest of my face where I prefer those benefits. This scrub contains kiwi seeds to exfoliate the skin and visibly reduce blackheads. The purifying formula also contains peppermint essential oil which soothes the skin and reduces blemishes, as well as lemongrass essential oil to purify the skin further. After using this scrub for a couple of weeks my skin looks revived with a clearer complexion and feels baby soft. Click HERE to find out more information about this scrub including it’s current price. This Nourishing sugar scrub is designed to soften skin and soothe dryness. It has a lovely cocoa scent which had me craving chocolate. It contains cocoa butter rich in fatty acids to soothe dryness making it perfect for my maturing dry skin. The nourishing formula also contains coconut oil to protect the skin’s barrier and exfoliating cocoa grains to remove dead skin cells and soften skin. This buttery scrub left my skin feeling so nourished, supple and soft after use! The Glow Sugar Scrub is formulated to brighten skin and boost radiance. 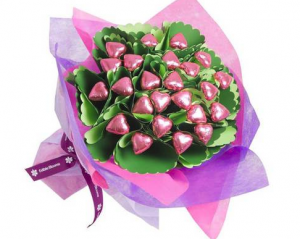 It contains grapeseed oil enriched with Vitamin E to illuminate dull, tired skin. The radiance boosting formula exfoliates and cares for the skin, with Monoi oil to moisturise and protect skin from dullness. It also contains acai powder to refine skin’s texture for a visibly smoother finish. After use my skin looked radiant and felt baby-soft! Not only are these three L’Oreal Sugar Scrubs perfect for your face, they are also a brilliant sugar scrub for lips. The benefits are smoother lips and a refined lip line which both in turn improves the wear of lipstick! All three of these scrubs are stocked in Priceline Pharmacies. Click on the pink links above to find out more. Which of these Sugar Scrubs, the Purifying Scrub, Nourishing Scrub or Glow Scrub appeals to you the most? 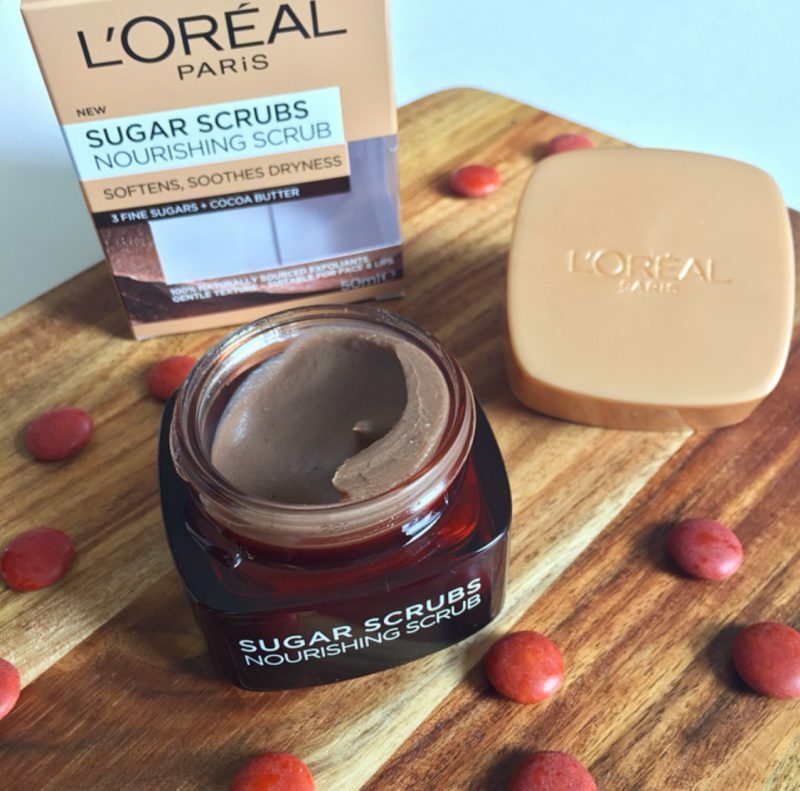 Please note I was lucky enough to receive one of these Sugar Scrubs in my L’Oreal Australia Beauty For All Goodie Bag and the other two at the Priceline Pharmacy Beauty Prescription Event. These Sugar Scrubs were the products most requested by you for me to review first. 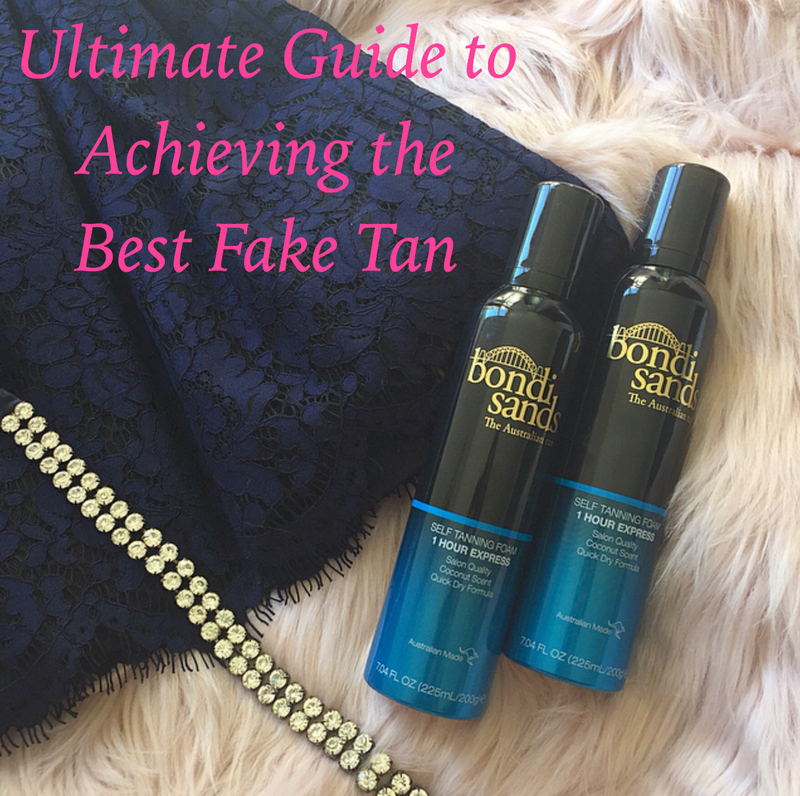 L’Oreal Paris have so many new amazing releases! Have you seen the L’Oreal Paris collab with Balmain to create 12 fashion forward shades of Colour Riche lipstick? Click HERE to find out more about it! *These L’Oreal Sugar Scrubs were kindly gifted to me for editorial consideration. The above post contains some affiliate links. All opinions are my own. Full disclosure policy here. « 50 Nutrimetics Nutri Rich Oil Uses! These sound divine. Id go for the kiwi one! I love Kiwi fruit. 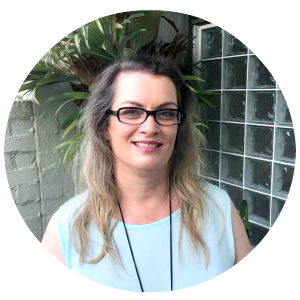 Love the review – very excited to use mine! Happy to report I dropped one (oops) and it survived! i really like the kiwi one.. it smells so delish. it almost seems edible!! I want to try the Purifying one, the kiwi scent is so appealing to me! I love a good scrub but because I have dry skin I often struggle. So the fact that you describe it to be gel like in consistency sounds sooo intriguing to me. I’ve gotta try it out! Exciting new release from L'Oreal. Like the idea of glass jars as packaging too. They sound great, I just wish I was more disciplined with my skin care!